In Stock. Sold by CSmlie and Fulfilled by Amazon. Gift-wrap available. 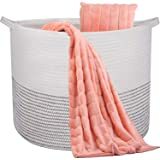 Amazon's Choice for "large baskets"
100% COTTON ROPE - While environmental friendly cotton rope basket is soft and safe for storing baby‘ item, our breathable cotton storage also features of durable and firm. 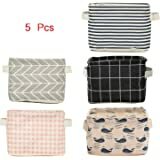 It is also flexible enough to fold into a corner. 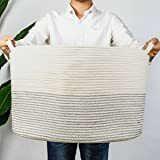 XXXLARGE SIZE - 21.7 inches (diameter) x 13.8 inches (height) extra large woven storage basket is perfect for throw blankets, pillows, comforter or cushions. 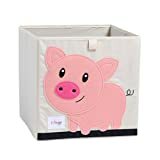 HANDMADE STYLISH DESIGN - Our fashion storage baskets are not only useful storage bins, but also ideal decorations in living room, bedroom, kids room, craft room. 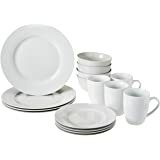 Neutral color design make it suitable for any furniture and decorations. 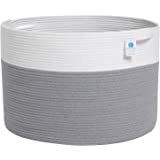 Cotton rope bins will not scratch floors. 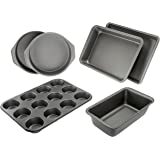 CONVENIENT SLIT HANDLES - 2 slit handles allow you to carry a full basket around the house easily. 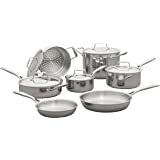 Besides, invisible handles do not influence simple style and appearance of basket. 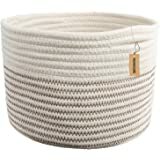 ENDLESS USE - Everyone need a large stylish storage basket. 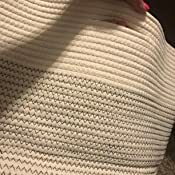 Except for holding blankets, pillows, or kids toys, you can also use it for stroring toys, art/craft supplies, books, stuffed animal, clothes etc. 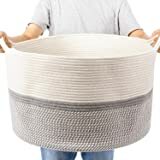 With this basket, rooms will be neat and tidy. Sold by CSmlie and ships from Amazon Fulfillment. 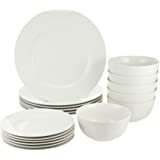 Sold by Indressme and ships from Amazon Fulfillment. 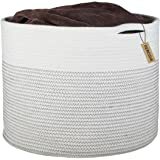 XXL Extra Large Cotton Rope Woven Basket, Throw Blanket Storage Basket with Handles, Decorative Clothes Hamper - 22" x 22" x 14"
INDRESSME Small Storage Basket - Cute Cotton Rope Basket - Closet Storage Bins - Desk Basket Organizer - Baby Nursery Organizer for Toy Storage Bin- 9.4" x 9.4" x 7.1"
soft safe basket, baby will not get hurt while playing toys beside it. Premium Cotton Rope and Comfortable Handles. Bound with Thick and Strong Cotton Thread. 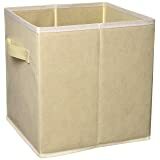 Breathable cotton storage for store dry items only. 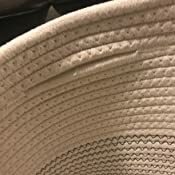 Few Repeat stitch occasionally appear since it is handmade basket. please unfolded and blend it back or stuff with blankets. You can ironing it to remove the wrinkles if needed. 60 days hassle-free return is provided. Please CONTACT US if you have any question. We will reply within 24 hours. Big, sturdy. 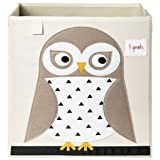 Perfect for my daughter’s toys! Easy to to carry. We like it! 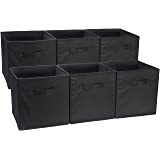 As the title states, I got this to keep all the dog toys and her comfort gears that are usually spread out everywhere in our living room. My 10-lb dog can hop in, and take out whatever she likes ( I wish she would pick up after herself but that's a different story). I love the size of the basket and structured, yet soft texture of ropes. I picked this product because of the light neutral color that blends with our living room. And I'm not sure if it was meant to be or just the fact the manufacturer deals with baby goods, it smelled like lavender out of the box! 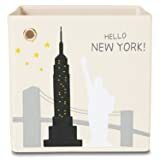 Which I thought was actually nice, since there are many products I purchase online that does not have a pleasant smell. 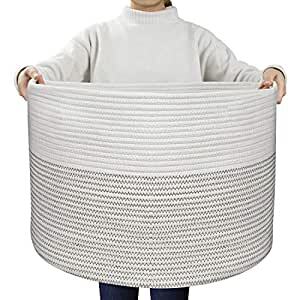 This rope basket is huge. 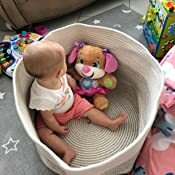 I wanted a large basket for my living room and my basement to keep my baby’s toys in. 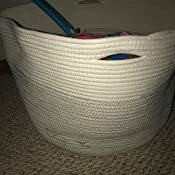 I put this basket in the basement. It ended up being so large that I went ahead and put all her toys that I was going to put into storage into this basket instead and I still have tons of room left over. It’s a great organized way to “catch all” within the house. The color is neutral and should work anywhere. At first I wasn’t sold on the handles that were just slit openings in the rope, but after sitting for a week or so and using them, they have seemed to open up more and be more pronounced. 5.0 out of 5 starsIt's big! I am a Montessori oriented household. I love natural fabrics and fibers for our playroom and home school area. I needed a LARGE basket to hold our 3 yoga mats, exercise weights, and bands. This worked perfectly. 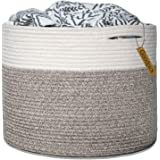 I almost bought a wicker basket, however, this one had the stretch and size necessary to fit the yoga mats 🙏 I have it under our Ikea art table 😊 I currently have 3 yoga mats, 2 5lb weights, exercise bands, 2 3lb weights and gym shoes in there. 5.0 out of 5 starsBig and sturdy. Basquet is big, it looks and feel sturdy. I like that you can fold it to wash it if needed. I’m using it for my sons laundry in his room. The price is kind of high but the material is very strong. Like they say good things cost money. Cheap things don’t last. 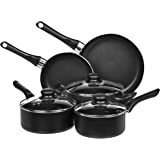 5.0 out of 5 starsJust as described, fits a great deal! 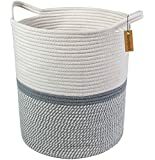 This is just as described big basket that fits a great deal of items and it is very sturdy (for a woven basket). I could carry it up and down the stairs with items in it, and could fold it down when nothing was in it. Good quality and tons of space! Good to get things organized and help kids learn to put stuff together. — Larry H.